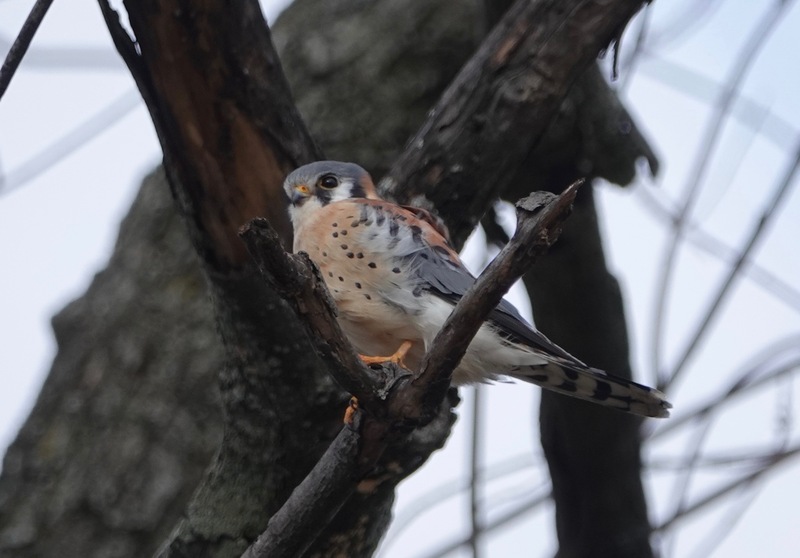 Let me introduce you to two different American Kestrel males, who have been spotted several times ten blocks apart along the western edge of Green-Wood in the last few months. First up today is this one, with a nicely russet chest. 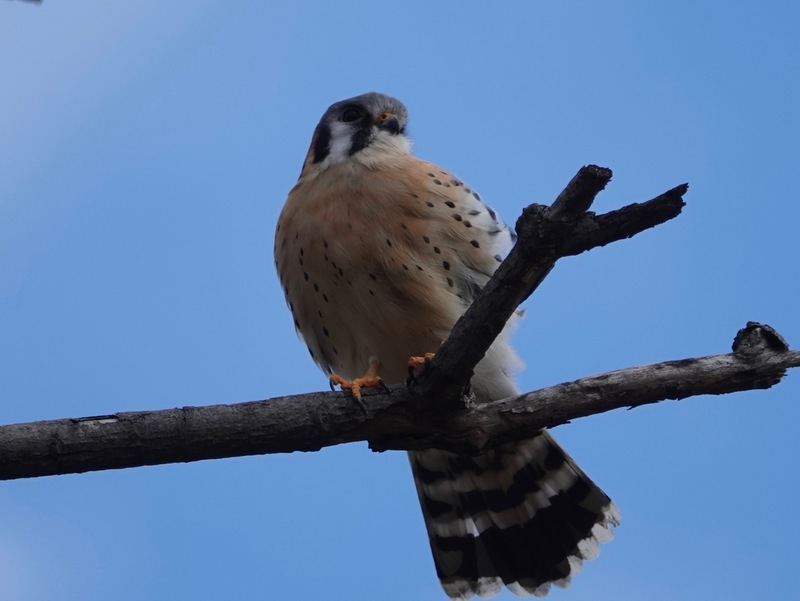 Rather more prominent, however, is his tail: The male standard, for both adult and juvenile, is for all the tail feathers to be rufus, except for the outer rectrix set. “Rectrices” are the formal name for tail feathers. (Most raptor species have twelve feathers in their tails.) This partial rufus pattern is unusual, I think. All these shots were from a span of nearly an hour’s observation. 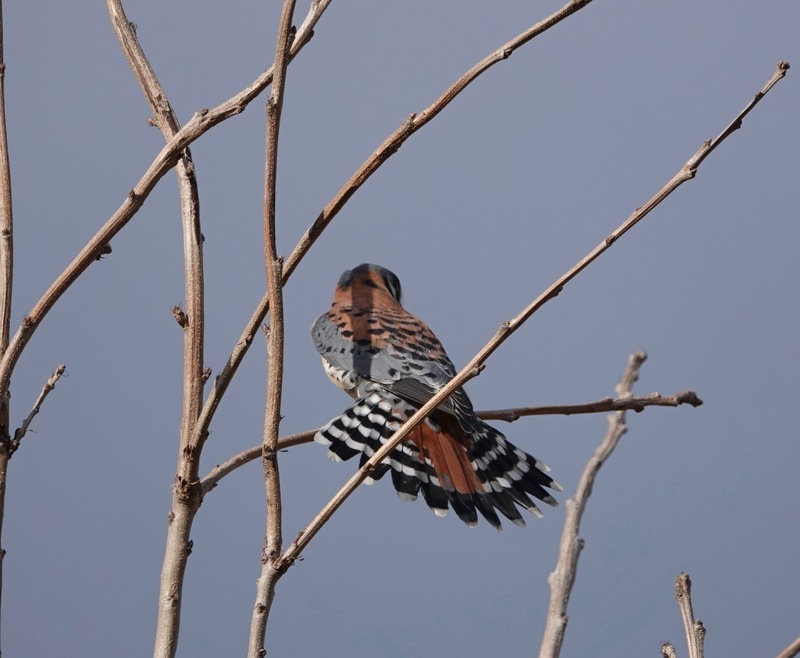 Near the end of this, with the kestrel ensconced on a branch, I was distracted by a distant Cooper Hawk. 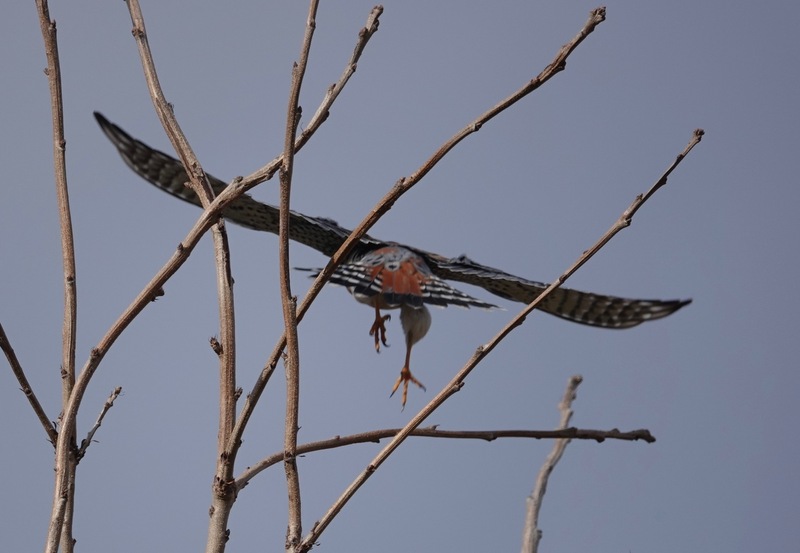 The Accipiter flew out of sight. 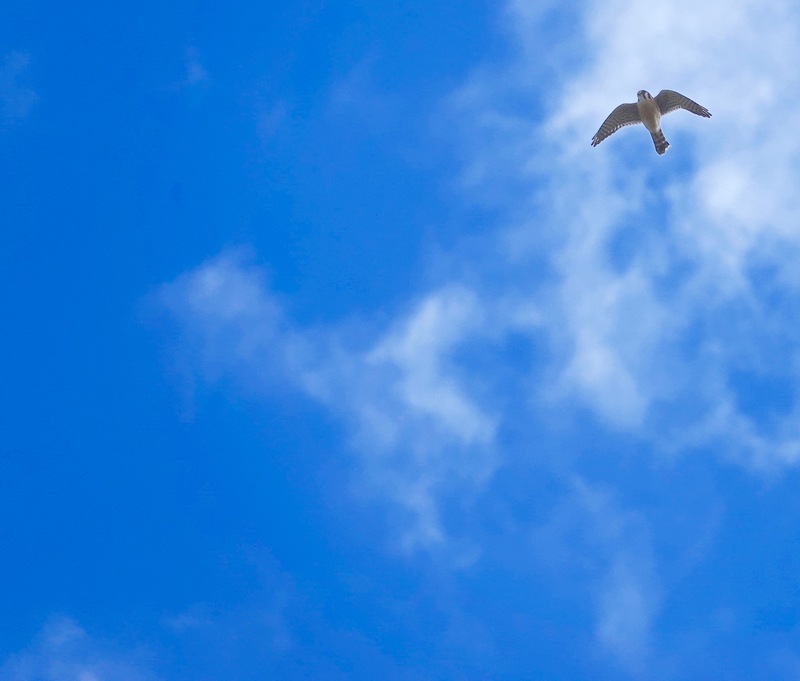 A movement or so later, the kestrel launched into the air, the Cooper zoomed across the sky, and the falcon made swooping dives at the larger hawk as they raced off into the distance. The kestrel soon returned back to his patch. 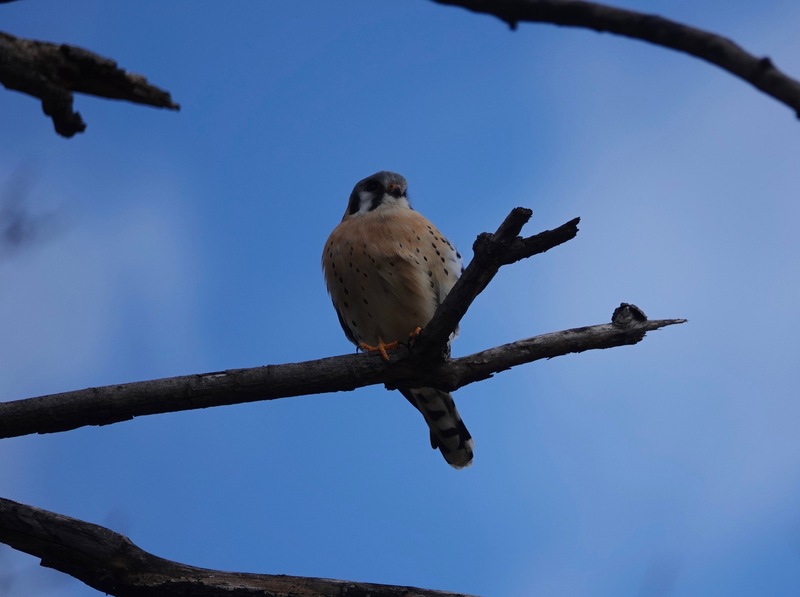 Tomorrow: American Kestrel number two.